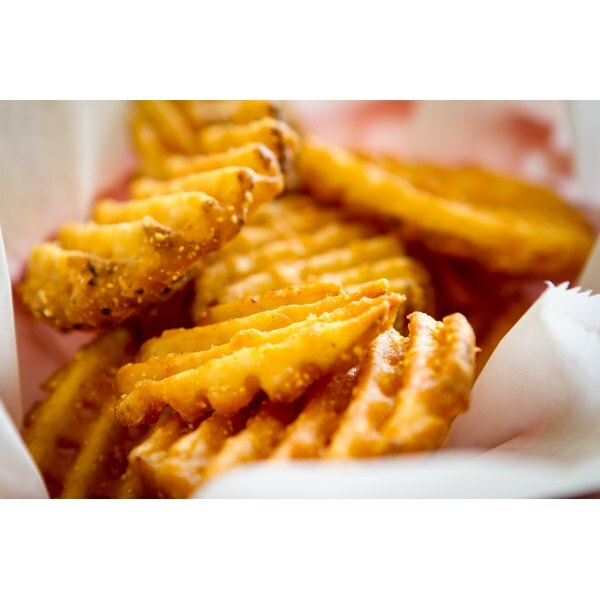 A close-up of waffle fries in a basket. 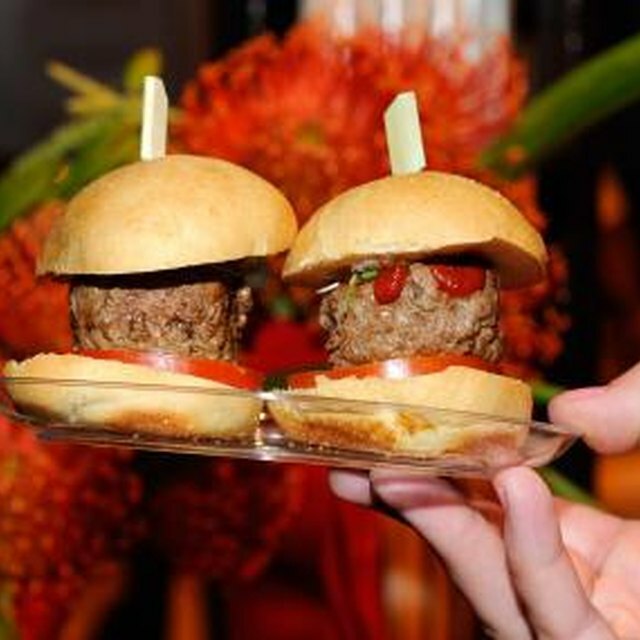 1 Can You Bake Sliders? 3 Does Cornstarch Make Fried Chicken Coating Lighter? 4 Can You Use Vegetable Oil Instead of Shortening in Tortillas? Waffle fries are made from whole potatoes cut into a crisscross pattern. Fries are typically high in calories and fat, but choosing a product that is baked rather than fried makes this a reasonable side dish option. Portion size is your key to accurately assessing the nutrition facts of waffle fries. To estimate your portion size when eating waffle fries, think of a 3-ounce serving as about eight waffle fries. When fried in vegetable oil, a medium serving of waffle fries, which is about 4 ounces, will provide 365 calories, 17 grams of total fat, 48 grams of carbohydrates 246 milligrams of sodium, 677 milligrams of potassium and 4 grams of fiber. A large portion of waffle fries provides about 5.5 ounces, 480 calories, 23 grams of fat, 64 grams of carbohydrates, 323 milligrams of sodium, 892 milligrams of potassium and 6 grams of fiber. When prepared at home and baked in the oven, waffle fries can be a much lighter side dish. A serving of eight frozen waffle fries baked in the oven contains 150 total calories, 6 grams of fat, 22 grams of carbohydrates, 360 milligrams of sodium, 310 milligrams of potassium and 2 grams of fiber.